She writes like your best friend. 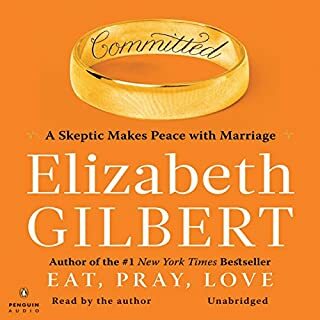 Whether you are thinking about getting married or a newlywed or married for awhile, this book will speak to you like a best friend we all wish she could and would. You listen and think, along with a brilliant yet vulnerable woman, who is going through the same journey as you are going through, with all the confusion and conviction regarding marriage, without judgment but only deep understanding of humanity. I feel grateful at many levels to have listened to this book. 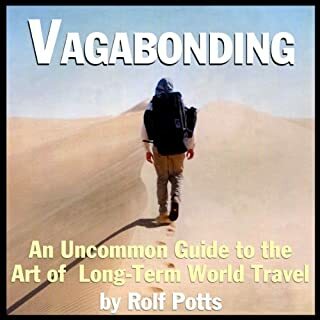 This book is written by someone who is both thoughtful and practical with many years of experience in world long term travel. At times it reminded me of Paul Theroux – observant, contemplative and insightful into other cultures, yet, the author of this book has provided more valuable practical tips on travel. While the book no doubt will benefit people of all ages, I think it’s particularly useful for people in their 30s or 40s, who are in reasonably good health condition, have worked in a routine environment and are wondering what’s next in their life. National Public Radio's Beijing correspondent Rob Gifford recounts his travels along Route 312, the Chinese Mother Road, the longest route in the world's most populous nation. 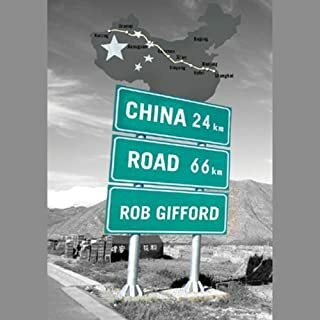 Based on his successful NPR radio series, China Road draws on Gifford's 20 years of observing first-hand this rapidly transforming country, as he travels east to west, from Shanghai to China's border with Kazakhstan. As he takes listeners on this journey, he also takes them through China's past and present while he tries to make sense of this complex nation's potential future. The author knows what he is talking about. He has deep understanding of China and a sympathetic yet balanced analysis of today's China. The narrator is superb as well. Get this book , you won't be disappointed. I am a big fan of Professor Bartlett. History could be full of wars, names and dates which tend to be pretty boring, but Bartlett has managed to keep audience interested by personalizing the historical figures, their background, character, journey in the way that you and I can related. He also provided various aspects of the Italian culture that we still can see today when we visit the country. In so doing, ancient history becomes highly relevant to today’s Italy and Italians, and how we appreciate them. The major annoyance is the fact that the written material (course outlines) is not included in the Great Course lectures. Yes, Audible made a disclaimer, but still, with so much information contained in these lectures, how can Audible expect listeners to properly gain enough knowledge without some written material? Simple things like how the names are spelled and which dates related to what events/figures are all part of the reason why written text is necessary for learning. I will have to buy his written text separately to compensate. That said, I still highly recommend it because the lectures are just too good to miss. 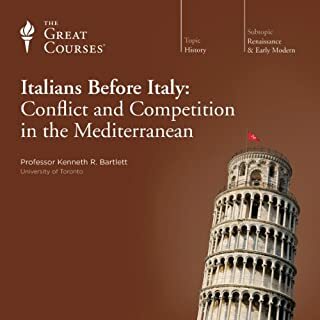 Would you consider the audio edition of The Italians before Italy: Conflict and Competition in the Mediterranean to be better than the print version? No. With so much information contained in these lectures, one cannot properly gain enough knowledge without some written material. Simple things like, how the names are spelled and which dates related to what events/figures are just part of the reason why written text is necessary for learning history. Would you recommend The Italians before Italy: Conflict and Competition in the Mediterranean to your friends? Why or why not? Yes and no. See my comment below. What does Professor Kenneth R. Bartlett bring to the story that you wouldn’t experience if you just read the book? 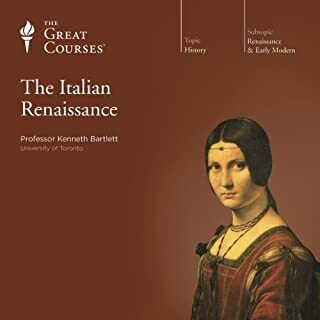 After I listened to his “The Italian Renaissance”, I became a big fan of Professor Bartlett. History could be full of wars, names and dates tend to be pretty boring, but Bartlett has managed to keep audience interested by personalizing the historical figures, their background, character, journey in the way that you and I can related. He also provided various aspects of the Italian culture that we still can see today when we visit the country. In so doing, ancient history becomes highly relevant to today’s Italy and Italians. One thing I am not entirely satisfied with this course is that there are a number of chapters seem to be directly copied from his “The Italian Renaissance”, or vise versa. The material is all great, but if you purchase one, the other doesn’t seem to add much value. Another thing I am unhappy about it is the fact that the lack of course outlines in the Great Course series. With the huge amount of information delivered in these lectures, some written material will be most helpful for the students to review and solidify what’s learned. I will have to buy his written book as a suppliment. Where is the course outlines? 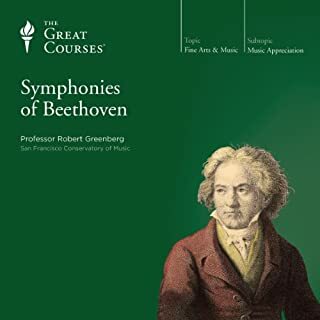 The Great Courses series is a wonderful new addition and I am really delighted to get all these wonderful courses at such an affordable price (if you pay for credits), but oddly enough, unlike other audio courses such as the Modern Scholar series, the outlines are not included. This is a major disappointment thus 3 stars for overall. I hope Audible will correct this defect. The main aim of this course is to cultivate basic literacy in the principal religions of Asia: Hinduism, Buddhism, Confucianism, and Daoism. This course explores the origins of these religious traditions in Asia and their transplantation to the United States. 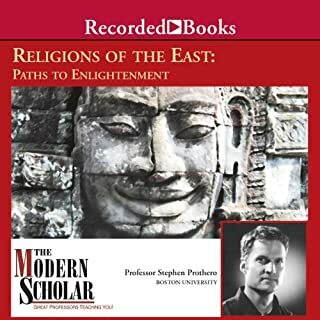 The course focuses on three related issues: why religion matters, what the term "religion" means, and how Asian religions - especially Buddhism and Confucianism - wonderfully complicate that term. This is an ambitious project, which is unfortunately undelivered I my view. The descriptions were over-simplistic and they were accompanied with shallow explanations and examples that overall the lecturer did not do justice to this extraordinarily profound and complex subject. Also, being as a professor of Eastern religious study, the lecturer's inability to properly pronounce some of the key concepts is just shocking. Surely one of his Chinese or Japanese-speaking undergrads could have given him a lesson or two around the recording time. Having listened a dozen of books in this Modern Scholar collection and generally satisfied with overall quality and value of these books, I have to say that this one is probably the most disappointing one. Two stars for the effort. Russian literature exudes an atmosphere of mysticism, which is said to be a natural result of the simplicity of her people. Often, instead of being "about" anything, Russian stories sometimes seem to be the "thing" in itself. 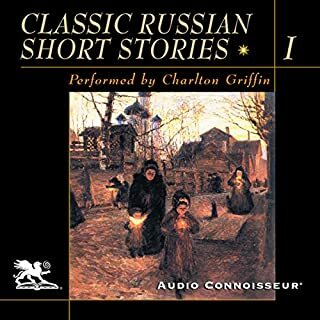 Be this as it may, it is an undeniable fact that with hardly any portent of future greatness to come, Russian literature suddenly sprang fully developed into existence in the 19th century. This is one of the best performances I've listened. The music is very thoughtfully chosen. Highly recommended.